IDF fighter jets attack Hamas' Interior Security headquarters, disguised as a hotel in the Rimal Neighborhood. IDF fighter jets struck Hamas' Interior Security headquarters overnight Monday. 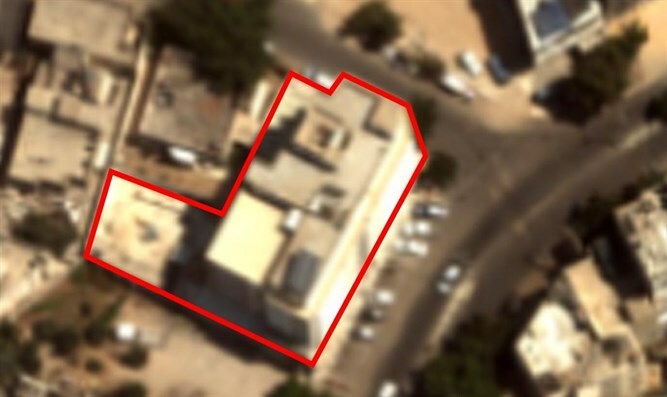 The headquarters is a high rise building which is disguised as the "Al-Amal" hotel and was taken over by Hamas towards the end of operation "Protective Edge". The building is used for military purposes and serves Gaza's interior security administration. The headquarters leads continuing attempts to carry out terror attacks against Israel. The building is located in the Rimal Neighborhood, at the center of a populated area and is adjacent to a branch of the Palestinian Health Ministry, a regional clinic and a diplomatic representative. “The IDF is determined to continue protecting Israeli civilians and is prepared for a wide variety of scenarios as necessary. The IDF holds a variety of tools at its disposal and is determined to continue operating against Hamas and other terror organizations operating from the Gaza Strip,” said the IDF Spokesperson’s Unit. Overnight Monday, IDF fighter jets targeted dozens of Hamas and Islamic Jihad military targets throughout the Gaza Strip. Over the last hour, the IDF targeted a storage warehouse in Khan Yunis, a military compound in Zaytun and a weapons manufacturing site in Sheik Omdan. In addition, the Israeli Navy targeted a unique vessel belonging to Hamas' naval forces in the Nuseirat Harbor of the southern Gaza Strip. As of Tuesday morning, over 100 military targets were struck, including three strategic military targets; Hamas' governmental structures used for military purposes. The ongoing strikes that are being carried out by the IDF in the Gaza Strip, are in response to the severe terror attack of rockets and mortars fired from Gaza at Israeli territory. “The IDF views these continued attacks with great severity and holds the Hamas terror organization responsible for all events transpiring in the Gaza Strip and emanating from it. Hamas will bear the consequences for its actions,” said the IDF Spokesperson’s Unit. Since 10:00 p.m. Monday evening, approximately 70 launches were identified from the Gaza strip at Israel, the IDF said. Dozens of launches were intercepted by the IDF's Iron Dome aerial defense system. Since the beginning of the wide-scale attack that was carried out by Gaza's terror organizations, targeting Israeli civilians, approximately 370 launches were identified from the Gaza strip at Israel. About 100 launches were intercepted by the IDF's Iron Dome aerial defense system.